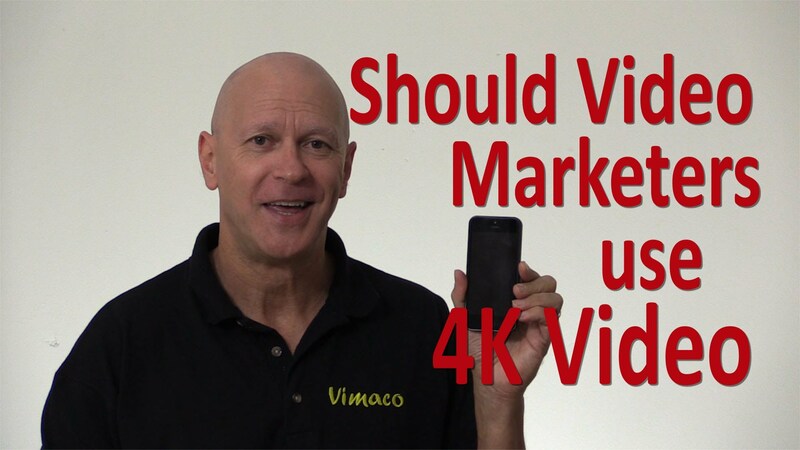 Should you be using 4K for your Video Marketing? 4K or not 4k, that is the question. Should you using Ultra High Definition for your video marketing? It wasn’t so long ago that we made the transition from SD or standard definition to High Definition, 1080p. While 3D TV has come and gone, there is a new format that will soon become the new standard – known as 4k or Ultra High Definition. 4K video is double the size of HD. That’s around 4 times the number of pixels, which is pretty significant. However you will need a monitor that can display 4k video to have any real appreciation of the image quality. There’s no doubt that on a big UHD TV screen, 4k footage looks absolutely awesome, but the TVs are still a little expensive and more importantly, there are currently no 4K discs like BluRay available nor any television broadcast of 4K content to watch. Now if you were going to use 4k video it’s going to cost you whether you outsource your production or if you produce your own videos, you will need a new 4K video camera. And don’t forget you will need to upgrade your computer to edit the footage with at least a new video card, increase your memory and add plenty of hard drive space to cater for the huge video files. 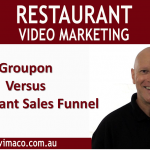 Mobile devices make up almost 40% of online video watch time. That’s a lot of video watched on small screens like the iphone. The irony is that mobile devices will drive 4k content. Most of the top line mobile devices this year will have the capacity to shoot 4k video and with a higher resolution screen, you will see a difference. Should you be using 4k video right now? Well if you plan to have a booth at an exhibition or Expo, then you would certainly standout with a huge UHD TV screen with 4k video. Or if your intended audience are technology “Innovators” or “Early Adopters” then using 4K video now would be a good strategic move. If you were going to shoot evergreen footage that you would want to use in two, three or more years’ time, then shooting 4k would future proof it. So that would make sense. But for most of us, we can wait for prices to drop down over the next 12 months before making the move to 4K. So stay tuned as we watch 4K video become the standard, but 8K won’t be too far away.